So Cameron’s legacy will be as “the Prime Minister who said sorry” but we’ve all asked ourselves and our children the question- what does sorry really mean? It won’t bring back the 96 dead whose memory was pissed on for 23 years by the police, successive governments and the Sun newspaper. Given that 23 years have passed, it will hardly offer much comfort to those whose relatives were described as drunken, inhuman, thieving thugs by the police- an explanation swallowed hook line and sinker by Thatcher and her cabinet. And it certainly won’t help the families of the 41 people whom the new report suggests could have been saved, had the police and health services there to protect them not been so inept. Cameron has become the expert at apologising for the sins of the past, all the while trying to minimise their effect on his political future. This is the second time he has told the world what it already knew (the first was Bloody Sunday); then, as now, he should get no credit for it. In the case of Hillsborough it’s 23 years too late, and prolonging the wrong is almost as bad as doing it in the first place. For today is not a day of “Justice for the 96,” and without any concrete action yet, Cameron’s sorry has no meaning. There is no closure here. No redemption. No justice. That justice can and will only come when those who desecrated the memories of the 96 people who died at Hillsborough by their lying testimony and their comprehensive 23-year cover-up are hauled before the courts and made to account for their actions. And this includes the venerable Margaret Thatcher, whose hatred of Liverpool and its people was a barely-concealed secret during her time in office. For once, society has to show that the ordinary working-class people, on whose backs the wealth of our nations is built, are also deserving of justice. Throughout history, from Bloody Sunday to Bhopal, we have ignored their cries for justice until it was too late. Britain can start now, by weeding out the liars in the police force, by turning its back on Thatcher, by condemning the Sun to the pages of history, and by putting them all on trial for their criminal acts. 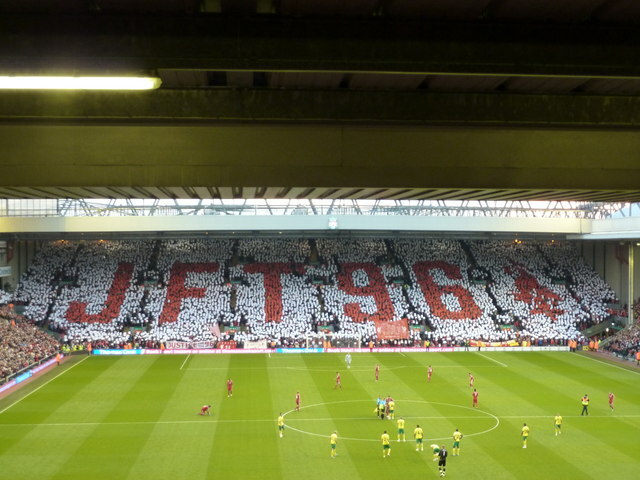 Then, and only then, will we truly have Justice for the 96.